Back at Google I/O we were introduced to Android One, an initiative from Google to give smartphone manufacturers guidance on how to build quality Android experiences using affordable hardware and updates directly from the Google mothership. At the time, Sundar Pichai explained that the program would be launched in India with three hardware partners - Spice, Micromax, and Karbonn "this fall," with other territories coming later. Google evidently sent out invites for the official Android One launch event at the beginning of the month, and partner Karbonn is already teasing that its device is coming soon. Meanwhile, however, Spice may have let its own cat out of the bag. 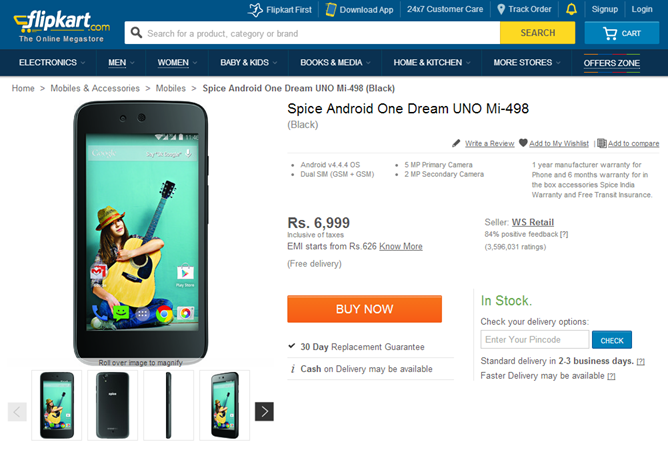 A Flipkart listing seems to show the Android One Dream UNO, which purports to be the first Android One device from Spice. 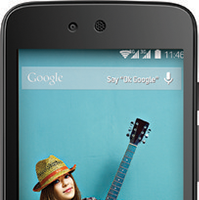 The phone, which features dual SIM slots, is listed at Rs. 6,999 (about $115 at time of writing) and packs in a 5MP camera, 2MP front shooter, an FWVGA (854x480) display at 4.5", 1GB RAM, 4GB storage, and a 1700mAh battery. The device from Micromax, readers may recall, is slated to be a dual-SIM device with a 4.5" display at an even less expensive price of "under $100." There are just a couple of days left until the official Android One announcement but for now it looks like this is our first peek at Android One hardware. Hit the link below for the full listing. 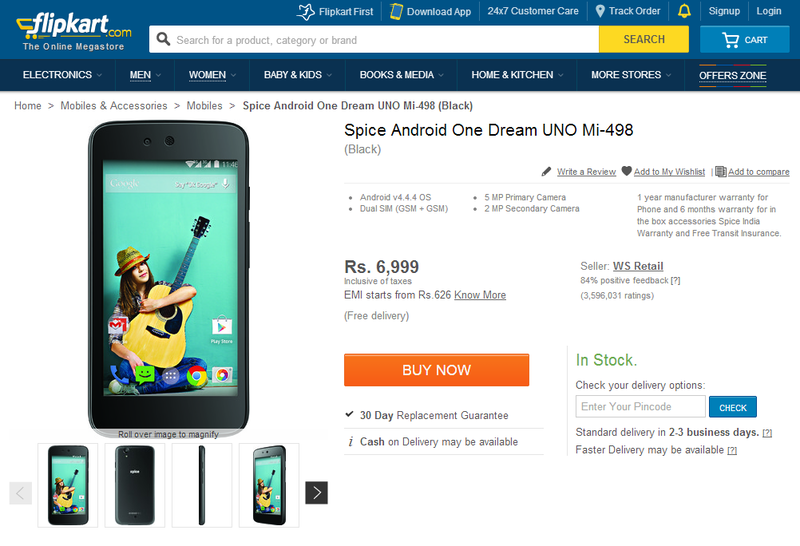 Update: It looks like the Flipkart listing has been pulled for now. It shouldn't be long before we see it pop up again.